To anyone passing by, it may look like any ordinary wooded area, but the Ludington School Forest is far from ordinary. 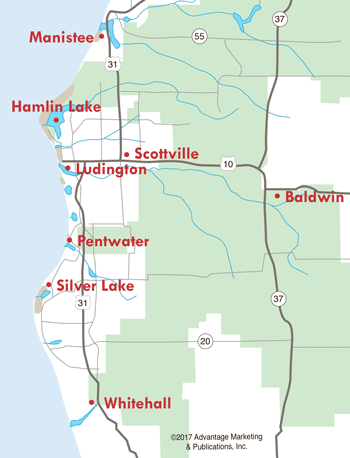 Within this quarter square mile in northeast Ludington, you'll find trails for biking, hiking, snowshoeing...even a disc golf course! North of Bryant Road and east of Sherman is a 1.8 mile section of bike trail, thanks to the hard work from the Shoreline Cycling Club. Another .7 mile section winds from this area south, and a separate trail takes you from the northern most part of the School Forest all the way down to Tinkham Avenue. East of Sherman and north of Tinkham is where you'll find the hiking trails...popular in the warmer seasons for hikers, and during the winter it's a haven for those who cross country ski and snowshoe. The trails are labeled East Loop and West Loop. The more open land is found in the East Loop, which is approximately 1.5 miles in length. The West Loop is more heavily wooded and is 1.25 miles long. 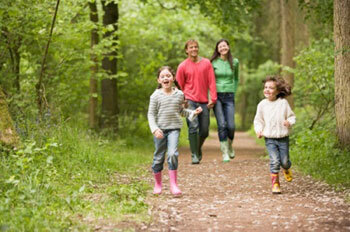 Dogs are allowed on the hiking trails, provided they are leashed and picked up after. No alcohol or smoking is allowed, as this is school property. No restrooms are available. One of Mason County's six disc golf courses is found within the Ludington School Forest. Leviathan, set upon 150 acres, is actually two courses--one is 7,925 feet and the other is 4,367 feet. 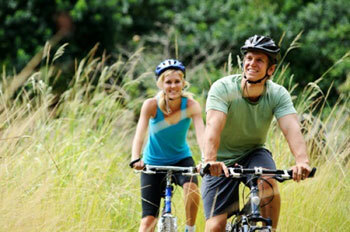 There is a parking area off Jebavy Drive where you can park and access the golf course. Mason County is known around the country as being a premier spot for disc golf. The Michigan State Disc Golf Championship is held in this area every Labor Day Weekend, where 400 of the best disc golfers in the state compete for the top prize. 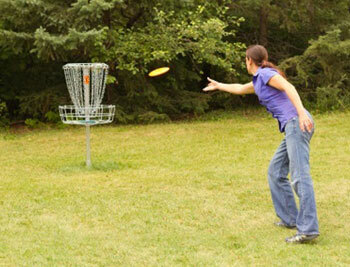 Read more about the other disc golf courses in the area. With all the natural wonders surrounding us, it's nice to know you don't have to travel far to enjoy wooded beauty, right here within Ludington's city limits.